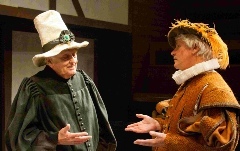 The Sewell Barn is one of Norfolk's leading amateur theatre companies. Our extensive costume collection was built by our founder with purchases made from the Royal Shakespeare and National Theatre Companies. It has been continually expanded by donations. It contains costumes from most periods (including fantasy) and the Elizabethan, Jacobean and Victorian periods are particularly strongly represented. 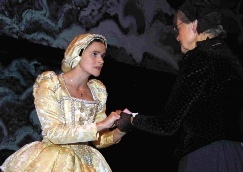 Costumes are available for hire to theatre and historical re-enactment groups and to schools. Party/fancy dress hire is not available. Charges are on a weekly basis or for a period to be negotiated. Costumes may be reserved for a fee of £5 (non-refundable), to be deducted from the total hire charge. Late return will be chargeable. A deposit is required, refundable on satisfactory return of the costumes in the state in which they were hired out. Proof of identity (e.g. 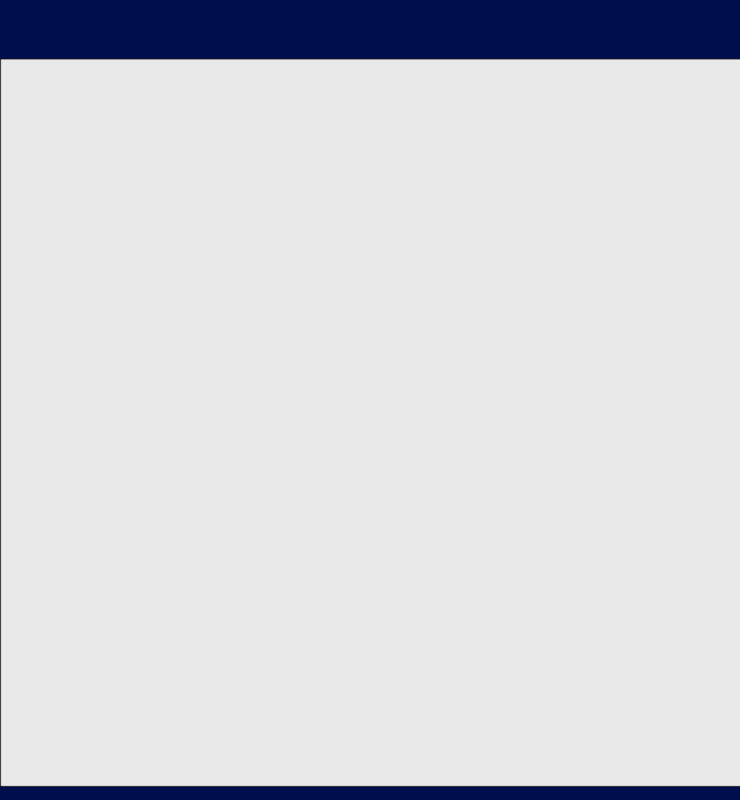 driving licence) including name and address, must be provided before costumes are removed. Payment is by cash or cheque (supported by bankers card). 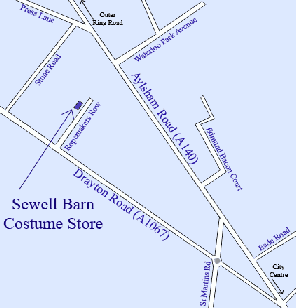 The costume store is at Unit 2, Ropemakers Row, off Drayton Road, Norwich NR3 2DD (see map). Ropemakers Row is a cul-de-sac on the right hand side of Drayton Road leaving Norwich. Look for a sign to the Miller Dance School and then drive up to the top of Ropemakers Row to the Miller Dance School where there is ample parking and look for Unit No. 2. To discuss costume hire, including current opening hours, please phone our Costume Hire Coordinator, Anne Giles, on 01603 612087 or email hire@sewellbarn.org .